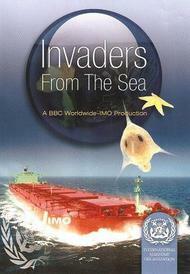 Invaders from the sea (DVD) | LIBROS NÁUTICOS | Organización Marítima Internacional (OMI / IMO) | Librería Náutica cartamar. Libros Náuticos. Cartas Náuticas | Libreria nautica Cartamar. Libros nauticos. Cartas nauticas. "Invaders from the sea" gives a unique insight into an important environmental issue: the transfer of harmful organisms in ships´ ballast water. Filmed by the internationally renowned BBC Wildvision, this amazing story looks at how this phenomenon is affecting our coasts and millions of lives around the world and the measures taken by the global community to fight against these alien stowaways.